Any time things become as public as they have become in the IMB trustee disagreement, there will always be criticism for anything said or done, regardless of one's motives or intentions. There are those who say I am too serious. Then there are others who are offended that I could joke about this situation. There are a few who say I should just resign, and then some who say stay on! A handful are tired of it all, but many are just now getting motivated to participate in the SBC. All of us are learning things as we travel this journey together. I'm learning a great deal about myself and others. Let me just say a couple of things that I hope everyone will take to heart before I announce the winners of the three day contest entitled "If You Were In My Shoes." FIRST, every trustee I have met on the IMB loves missions and spreading the gospel of Jesus Christ. This is a disagreement on principles, it is never a "I love Jesus more than you" debate. SECOND, there are times when we all better laugh at ourselves, for if we take ourselves too seriously we lose perspective. My kids do a great impersonation of me. My staff loves to joke about me. I laugh from the belly when this happens because I don't take myself too seriously. I do, however, take the gospel very seriously. But I am too frail, too human and too sinful to think too highly of myself. The SBC is the same way. The gospel is important, but if we can't laugh at some of the things we do as a convention, we are in trouble. THIRD, family members can argue, but we remain family. We are all Southern Baptists. Let's not get to the place where we say, "I can't stand you, so I'm leaving you," or "I can't stand you, so get out." I really want to learn to give dissent, disagree over minor doctrines (by the way, eternal security is not a minor doctrine, but the qualifications of the administrator of your baptism is), voice opposition, but keep on loving the people on the other side. The Editor of Christianity Today emailed me today and said he was told by the Chairman of the Trustees that there would either be reconciliation or I would resign from the Board. I told the Editor that there is more of a probability that the Pope would be elected President of the Southern Baptist Convention than I would resign. So, that must mean reconciliation is on the way! I'm glad. Thank you for all your advice! I laughed, I listened, I learned. For those of you who wrote and said you were offended that people could say the things they did, lighten up! Southern Baptists have proven again that they are razor sharp, mission minded, and always ready to do everything possible to keep the main thing the main thing. (1). The Solomon Award . . The clearest, most articulate advice for resolution to the dilemma that honors God and betters our convention. WINNER . . A female attorney named Dorcas. Do not resign your post as Trustee. Allow the Convention the opportunity to give its collective voice. Stay near your wife as much as possible ... she is your strongest advocate. There will be time enough in June to deal with this. Let others do the footwork and claim for yourself, your family and your church a level of normalcy. True - stay in the Word daily, hourly if needed on the days when life is rough. Honest - determine to preach fresh sermons with the fervor of a newly ordained minister, don’t allow time constraints to tempt you into reruns. Just - for every person you may find yourself on the opposite side of the table from, think now of one positive effect they have had on your life or one positive thing they have done for others, and determine to communicate that to them and others whenever you have the opportunity. Pure - visit the nursery at your church, rock the babies until the cares of the world slip from your mind in the face of such newness of life. Lovely - take a vacation to your favorite part of nature, mountains, the beach, the forest, wherever it might be and if only for a day, give yourself a physical “time out” away from everything. Of Good Report - take time to gather with the teenagers of your church, find out what they think about all that is going on. They are the next group of “younger leaders” and need to know they will not have to be dealing with similar issues 20 years from now. Instill in them the importance of principle over people, so even if you are no longer a Trustee in June, they will not become bitter at the “system”. Virtuous - slip into the Sunday School class of the oldest age group at your church, don’t let them focus on you, just say you are there to be a silent participant. Soak in the wisdom of the ages. Remind yourself that you have a long way to go yet. Praiseworthy - get out of the limelight for a day, make coffee for your secretary and offer to run those copies yourself. Thank her for being your front line defense to all the media attention ... and give her a few extra days off. Announce the rapture has occured and the premillenialists were correct. Since every Southern Baptist is still here, we must all be lost. Let them know our lost condition is most likely due to two reasons: (1). We were baptized in the wrong church, or, (2). We really didn't have the gift of the Spirit after all. Since the entire convention seems to follow leadership so gullibly, rebaptize everyone. Our stats are up for the year, and everyone is then part of the pure church. (3). The Marty Duren Award . . . The shortest advice with the most meat. Please stay the course. You are on the right track! (4). The Albert Einstein Award . . . The comment that never even entered my mind before (it is hard for me to fathom I have not thought about every possible course of action, but this award goes to the person who gives me something new). WINNER . . . Kiki! There were some other excellent entries in this category, but this Southern Baptist home missionary was not only Biblical in her response, she put it into modern language! Kiki said . . .
Or you could always take a brick, draw a picture of IMB headquarters on it, and make a model of a military siege against the brick. Take an iron skillet, and place it between you and the city. Lay on your left side. After 390 days, turn over. Lay on your right side. Stay there for 40 days. Then roll up your sleeves, shake your bare arms, and preach at the brick. If that doesn't work, shave your head and beard. Take 1/3 of the shaved hair and burn it inside IMB headquarters. Take another 1/3, chop it in bits, and sprinkle it around Richmond. Take the final 1/3 and throw it to the wind. Okay....so maybe Ezekiel's example is not the best one to follow. But my guess is that after a few days of that, you would at least get their attention!!!! 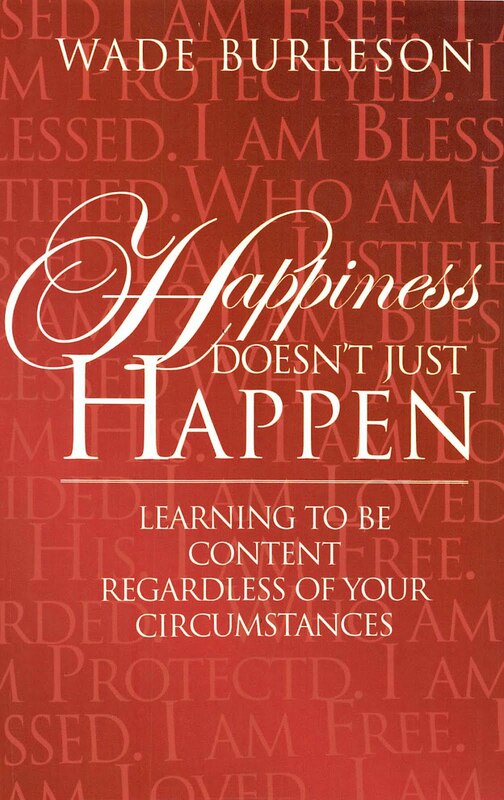 Winners email me with your address and I will send you a signed copy of my book "Happiness Doesn't Just Happen: Learning to Be Content Regardless of Your Circumstances" which was written as an exposition of Philippians 4:11 but has now become an autobiography! You can sell it on ebay for a quarter after you read it!! Have a great day, and God's blessings to you all. Thank you for your stand. The missionaries are the real victims here, and I am proud to see the many people in our denomination working to protect them from adminstratium in our ranks. Given your love for your fellow conservatives in general and for your fellow trustees in particular, why did you let the 'mean bastards' line stand in your recent contest? See entry from Lance. Thanks for having such a great attitude! The SBC should be proud to have you. I am! How was mine too personal?! Was it the Calvinist comment or the fat fingers?... Just so you know i did tone it down...and did a little back spacing. I was trying to get kind of close to the line... but not too close...anyway. I am disappointed, but Jim's was funny. PROPS TO YOU JIM. And his was a little more clever. I had intentions to actually enter in all catagories, but got busy. Go Plainsmen. I am Dorcas' dad. It brought tears to my eyes and joy to my heart to read her comments. I guess all those years of patient love, discipline, gentle proding and prayer weren't for naught. If she weren't a Southern Baptist she would make one dynamic preacher in the mold of Hulda, Deborah and other women God called to spread the Good News. She makes me proud. Are there recounts? Hanging email chads? Shoot. Does the honorable mention get me a discount card somewhere? I thought surely Marty Duren's endorsement about the streaker would get me something. Congrats to the winners. and I want to give a special mention to the Noah & Moses called football game. Funny. I laughed at your post, but I agree that "fat fingers" disqualified your entry. 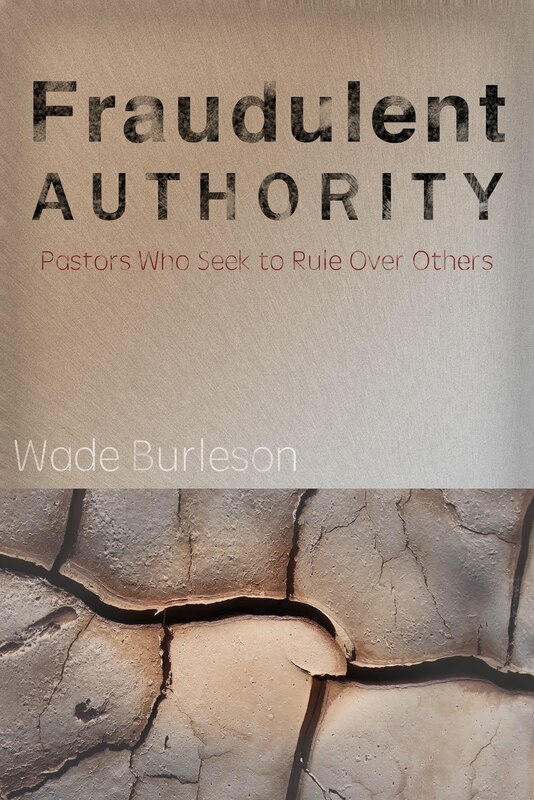 Wade is really keeping the bar very high for our behavior in this controversy. Since my tendency is to display rather biting sarcasm in debate, I'm learning from him in this area. Anyway, I hope you can accept my appreciation of your humor as a consolation prize! I agree that eternal security is not a "minor" doctrine, but it is one conservative scholars can disagree on. 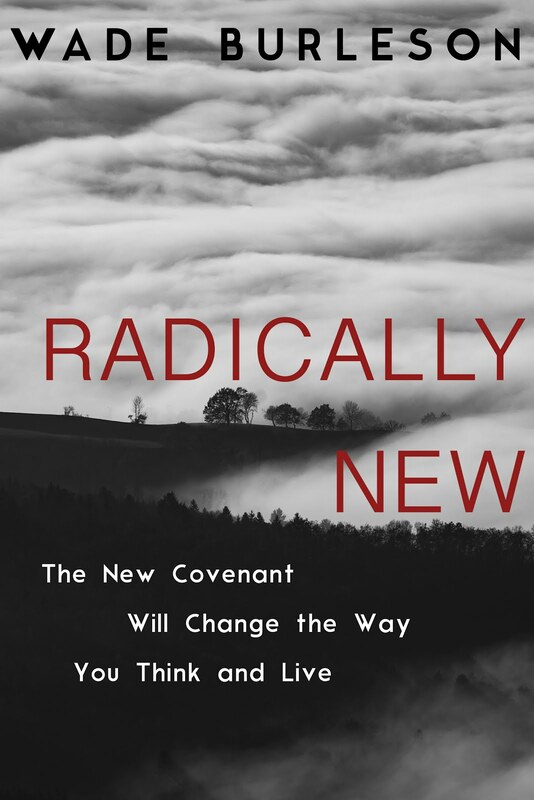 I believe in eternal security, but have become concerned that we in the SBC have overemphasized the doctrine and ignored passages that seem to disagree with it. By igoring these passages many people's idea of eternal security has grown to become unbiblical. By ignoring those passages that deal with "endurance", "perseverance" etc... we take comfort in any soul that walked the aisle at 10 years old whether there is fruit or not (John 15:6; Romans 11:17-22; 1 Cor. 15:2; Heb. 3:14 etc...). There are many challenging passages we need to teach, otherwise our kids will go to college, begin really reading their Bible for the first time and find lots of scriptures they do not know how to handle and that appear to contradict a fundimental doctrine that has been ingrained in them (Hebrews 5:11-6:12, 10:26-39; Mt. 24:10-13; 1 Cor. 15:2; 2 Peter 2:20-22 etc...) . I just want to challenge people toward balance and a full reading of God's Word. Let us use all the Scriptures to lead us to our understanding of security (Jn. 8:31-32, 15:8; 1 Peter 1:3-7; 2 John 9 etc...) and not just a select few passages that strongly teach that doctrine (John 10:27-29; Romans 8:35-39; 2 Cor. 1:21-24 etc...). Otherwise we will become focused only on decision and lax in our discipleship. More than a few may slip through the cracks and into eternity thinking they are saved when they really never surrendered to begin with. Anyway, I know that only relates to a brief comment you made, but it is an issue I feel strongly about. I am proud to be a Southern Baptist. I believe we have an excellent convention, with excellent leadership. I believe in our seminaries and our mission boards. We are doing great work, in a lot of areas. I believe the “conservative resurgence" has generally been a good thing for our convention. I don’t agree with everything that has been said and done along the way, but by and large I look at it in a positive way. I have never spoken in tongues, and don’t particularly want to do so. But I feel compelled to write to say that I believe that policing anyone’s private prayer time is a losing proposition. Jesus told us, “But when you pray, go into your room, close the door and pray to your Father, who is unseen. Then your Father, who sees what is done in secret, will reward you.” (Matthew 6:6, New International Version) David encourages us to “pour out your hearts” to God. (Psalm 62:8, NIV) “In bitterness of soul Hannah wept much and prayed to the LORD….” (1 Samuel 1:10, NIV) The rest of the story should sober us all. We need more people praying like that, not less. We must remember what is none of our business, and what is our business. In reflecting on these words, I had some disturbing thoughts. I preached a sermon about Daniel on New Year’s Day. My given name is Daniel, so he has long been one of my favorite Bible characters. I appreciate him more all the time, and enjoyed preaching that sermon on my 40th birthday. What disturbs me is that, in that sermon, I pointed out what is rather obvious, as you read the sixth chapter of Daniel. Daniel’s enemies could not find anything against him, and concluded that they wouldn’t, unless they found something that had to do with the “law of his God.” (Daniel 6:5, NIV) So, what did they go after? Daniel’s prayer life. To make a long story short, those men and their wives and children ended up in the lion’s den. (Daniel 6:24) If we, as a convention, start policing people’s private prayer time, where will we end up? That’s a scary thought, one our convention must consider. But the scariest thought is one I hesitate to bring up. But it won’t go away. With the new missionary personnel policies in place, would Jesus himself qualify to be a SBC missionary now? It’s worth pondering. The bottom line is we don’t know, because we are talking about something private, which is really the point. This should tell us that this new policy in particular crosses a line we have no business crossing. It’s not too late to cross back over it. Continuing down this path could lead to the lion’s den. Surely nobody wants that. When I read Kiki's post I about laughed myself onto the floor. I was having a hard time choosing between Dorcas' and Bowden's. Wade, your choice of "Winners" was excellent and this Okie congratulates each and everyone of them, and all of the others who participated! Thanks for opening up your blog for some levity along with the seriousness of the current crisis in the IMB. The issue of "Missions and Cooperation" in spite of disagreement concerning minor, non-essential Christian doctrine is paramount if the SBC is to realize its goals of reaching the lost of the world for Christ. Pastor Wade, I would like to add my congratulations to the winner of the Solomon Award; especially for her advice under the heading 'Praiseworthy'. She is indeed a wise woman. I look forward to mailing your book to her. You ask whether Jesus would qualify as an SBC missionary under the new policy. Apparently, the Holy Spirit would not, as Paul states that the "Spirit of the Holy One intercedes for us with sighs too deep for words." Isn't that the whole issue here? We are closing the definitions of who is worthy far beyond God's definitions. Talking donkeys, harlots from Jericho, and all sorts of unworthy were used effectively by God. We have decided to overstep our authority. We were told that no missionaries would need to sign the BF&M 2000. Then we were told only new missionaries would have to do so. Then we were "requested" to sign it. Then we were told, to sign or else. What guarantee do the missionaries on the field have that the new policy will not be forced upon them in the same way? Trust was eroded several years back. Trust is easy to destroy, but hard to regain. Good to know that God is still interceding on our behalf and on the behalf of the IMB's current missionaries. I certainly don't have the appropriate words for it. Regarding Dorcas, are any of the rest of you thinking, "There are plenty of days I wish I could get her counsel and encouragement"? Wow! That many women won. Is that a surprise?? Oh wait! That's a whole other issue that we better not bring up in Southern Baptist life. (c) It was approved by an overwealming number of Convention messengers, duly seated, after much private discussion and floor debate. While not intended to be a confessional work forced upon the autonomous churces (churches can have any of these confessions or none of them as they see fit), the BF&M's clear intent is to be a common denominator for all Southern Baptist Convention work (the Cooperation of the autonomous churches), and a template for all SBC entities who hire and fire staff. This "affirmation" of the confessional statement has been conducted by Convention bodies for a very, very long time. I could nor would I contemplate hiring any employee who could not affirm the body's confessional statement, which serves as it's vision. While I respect the right of every person to hold to their principles and conscience, this matter really is not negotiable; either be able to "affirm" and "teach" within the general confines of the confessional statement (with the explicit understanding that I do not have to have universal agreement with everything that a group of human beings has authored) or find a position elsewhere that does not rub my conscience raw. I personally have no problem with the IMB or NAMB or any SBC entity requiring affirmation by it's employees, both current and future, of the BF&M, for it is the Convention's "lowest common denominator" of individual/corporate cooperation/belief/behavior. I do have a problem when an SBC entity tries to add/detract from the corporate confessional statement without first consulting the Convention body. Wade, with all due respect, while you suggested that the trustees have the "right" to initiate policy, in this respect I do not believe they do. They may indeed have the power - but they do not have the right to circumvent the Body and it's perogatives. That is what I see this debate is all about - and brother, I really respect you and your principled stand. God bless. By the way, I know some folks who knew you when you where Pastor at Sheridan Road (is that right - did you Pastor there?) As an okie in Missouri, I am closely following the issues you have brought forth. Keep your chin up, and your eyes on Jesus. I'll say it until everyone understands it: Any year's version of the BF&M is REPRESENTATIVE of the theological persuasions of almost every kind of Baptist who ever walked the planet earth, and most other evangelical believers as well. Everyone, pick a version and start cooperating!